Not all stones are stationary: Hypermass may recall images of huge monoliths, but these structures have speed! 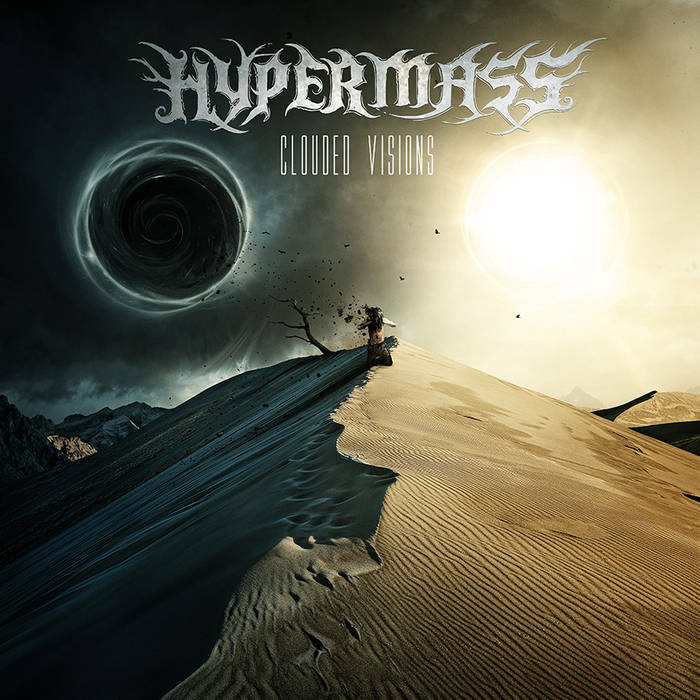 From the far-flung climes of Trondheim, Norway, Hypermass are a genre-melding extreme metal band whose goal is to draw upon the melody of death, black and thrash metal, and occasionally throw in some prog and jazz influences too. Clouded Visions is the result of intense jamming in these genres. Hypermass is a Melodic Death Metal band hailing from Trondheim, Norway. Formed in 2012, the quintet first garnered attention from the local scene by fusing all kinds of different subgenres together, with elements of Black, Death, and Thrash Metal all while heavily relying on melody. Since releasing their first demo Into Oblivion in late 2013, the band have refined and focused their sound to a tight and extreme style of metal without forsaking the all-important melody. In the summer of 2014, the band attended music high school and started writing their debut EP. Their bassist Martin Nordvik departed into the military, where he still serves. They got the interest of other bass players, and quickly settled on the skilled Marius Grindflek. Their debut EP Clouded Visions was recorded in February 2015 by the band at the school (Trøndertun Folkehøgskole). The band contacted several mixing/mastering engineers, before agreeing that Stamos Koliousis was the right choice, mostly for his incredible work with his own band Mencea. Now that the EP has been released and available worldwide, the band is currently in the early stages of writing their debut full-length.